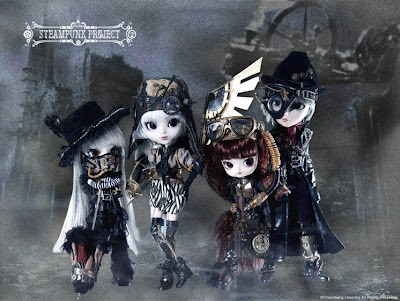 We saw these at Toy Fair and we were captivated: JUN Planning, maker of high-end collectible dolls, is coming out with a Steampunk Project line of their Pullip dolls. Pullips dolls are 12 inches tall, fully articulated and have moving eyes. Quite a site to behold, especially when decked out in Steampunk pseudo-Victorian garb. If you're interested, let us know via email. They will only be making 2000 pieces of each figure and the ordering window is short for us. 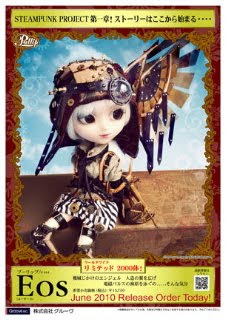 UPDATE: Below is the picture of the first figure in the Stempunk Pullip Project series, Eos! Eos will ship to retailers in July and will cost $150. 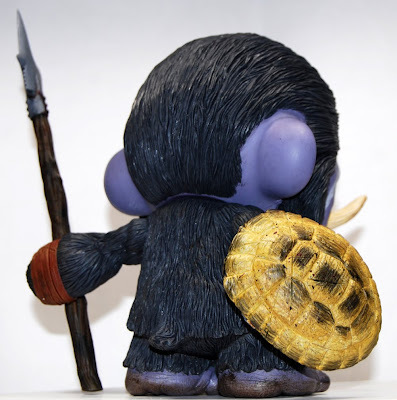 We are pleased to announce that Tenacious Toys will be the exclusive US retailer of the 10-inch (26 cm) Lemi the Space Wanderer plushes from Thunderpanda in Indonesia! 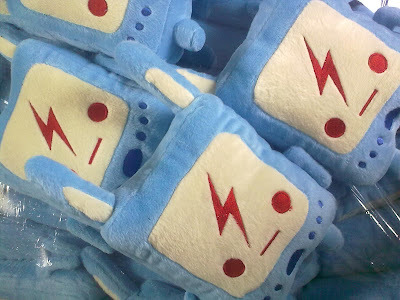 The Lemi plushes are handmade and will be shipping to us in a month or 2. Retail price will be just $15! 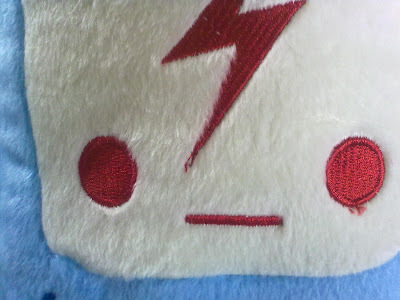 An amazing bargain considering these are hand made plushies imported from overseas. 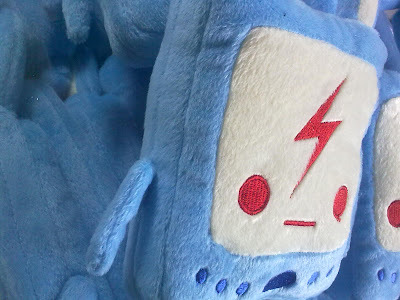 We'll be posting more about the Lemi plushes as we get closer to the arrival date. Of course, feel free to contact us via email to unofficially reserve one. 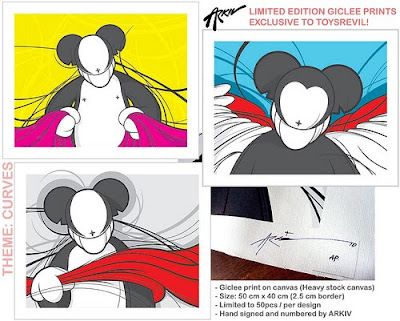 There will be only 100 made so it's certainly a limited release. 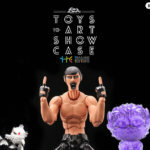 Unison Lab (Chile) presents the Toy Home Guardian Unit or T.H.U.G. Size 5". Soft vinyl. White Color. 2 points of articulation. Suggested Retail $22, email tenacioustoys@gmail.com if you are interested. Unison Lab (Chile) presents Defcon Series Hazmat. "During the post nuclear warfare the UGD, Unit of Global Defense, set a special equipment of safety to protect the refuges of the survivors of the possible enemy assaults, these special equipments or Hazmat must support a new nuclear winter that covers the skies of the new world." Size 5". Soft vinyl. Retail $22. Email tenacioustoys@gmail.com if you are interested. Every once in a while we get the opportunity buy out the remainder of the stock of a particular toy. Often when we do that, we can get really favorable prices. 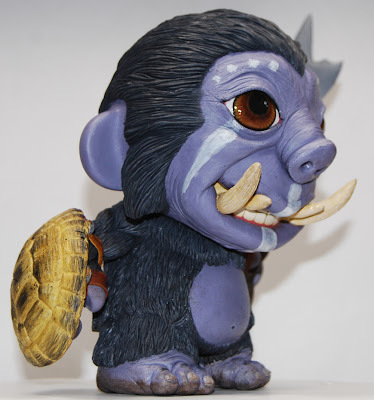 In this case we bought out Strangeco's stock of Nathan Jurevicius' Minitreehouse Arkski 6-inch vinyl figures. 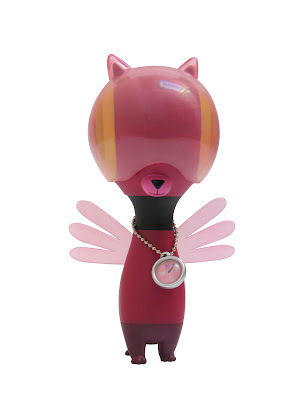 "Super Mom" Arkski Pink comes with toddler, backpack and necklace accessories, packed in a windowed collector box. PLEASE NOTE: Although NOT EXCLUSIVE TO OUR EVENT, purchase of this print will allow you access to our 1st Annual Charity Party and Artist Signing with DALEK! * If you DO NOT attend the event, we will begin shipping these on APRIL 5TH. If you DO attend the event, please bring your order receipt and your print will be given to you at the door. * All profits from the Dalek prints go to "Murder Through The Eyes Of A Child", a documentary about the high murder rate in New Orleans and it's horrible effect on children. * Beer and wine will be available and DJ A Huf will be providing the tunes. Available for purchase here until March 25th. "Say Hello to Bacon. This little guy tries as hard as he can to be mean. He's even borrowed a bloody halberd and shield from his father but try as he might, deep down inside he's just a sweetie. Bacon is part gorilla, part boar and all around nice guy. 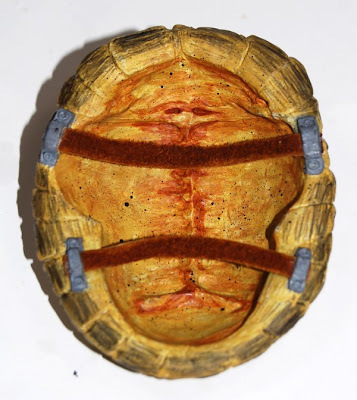 Bacon was made from a 7" Munny, wire, plumber epoxy, screws, polymer clay and leather. This was my first attempt at this size and I loved it. It's perfect. Large enough to allow for all the detail I want and small enough to be practical. Want to see how I made this? A lot of you probably saw a lot of images I posted over the last couple weeks. I wasn't just showing off. Nope, I was amassing as many pictures as I could to assemble a tutorial. Plan on seeing a tutorial from me within the next couple weeks." 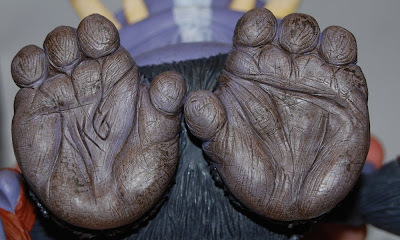 You can find out more about this Dunny on Kevin's blog. 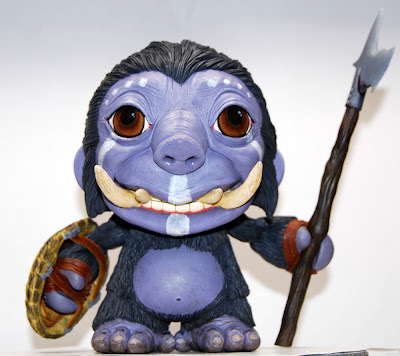 Lift Detroit Exclusive 5-inch MAD*L. Limited to only 300 pieces worldwide. Will retail for $45. 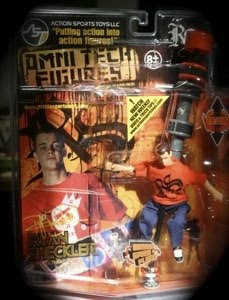 One of the most innovative concepts I was able to experience at the 2010 Toy Fair was the "Omni Tech" Ryan Sheckler skateboarding action figure by Action Sports Toys. I am a skateboarder but I'm 31 now and I recognize that at this point, there is NO WAY I will ever be able to bust a 360 kickflip into a boardslide. I will never land an ollie impossible. It's just not going to happen. Skateboarding, for me at this point, is just a really fun way to navigate Manhattan. But that doesn't mean I don't watch Rob Dyrdek's Fantasy Factory and fantasize about being able to pull off 1/10th of what Rob can do so effortlessly. 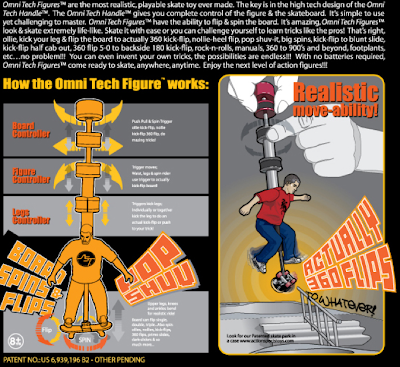 Thankfully, I came away from Toy Fair with a sample of this Omni Tech Figure and now I can pull tricks right in my own apartment without breaking my geriatric bones. 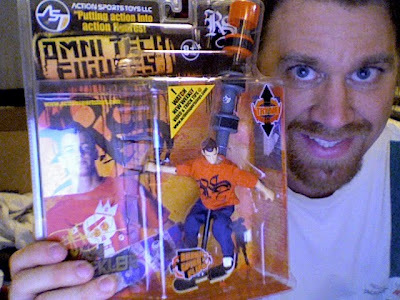 Action Sports Toys really did work wonders with the technology on these figures- out of the back of the figure is a sort of 6 inch handle with 4 knobs on it- the top 2 knobs can be twisted relative to one another to spin the board and move it away from the feet of the rider. Twisting the middle knob twists the waist & legs of the rider. Pulling up one side (or both sides) of the bottom knob kicks the riders legs. Since you can control the legs separately, the rider's legs can actually kick at the board to spin it for a kick flip. The set of controls, once mastered, really does allow you to recreate just about any trick in the book. Another cool aspect of this toy is the packaging, which is NOT to be thrown away: the plastic blister pack actually has a quarter pipe, a mini ramp, a tabletop and a couple stairs molded in. Throw a little gray or black spray paint on the underside of the plastic and you have a realistic, to-scale ramp to practice your tricks on!